Information sharing is an important pillar for any strategy that aims to control infectious diseases especially in farms and systems that are connected. 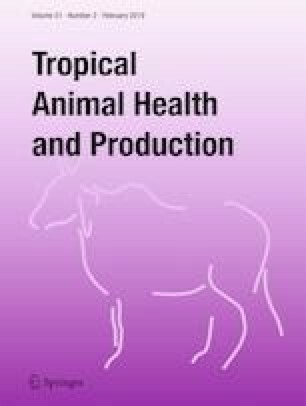 A study was designed to analyze practices related to sharing of animal health information and identify health constraints affecting livestock keeping in smallholder farming systems of Mwala in Machakos County. Data were collected through focus group discussions (number of groups = 3) and one-on-one questionnaire interviews (n = 172). These were analyzed using both descriptive and thematic approaches. The most (33%; n = 158) feared animal disease was pneumonia which was also the most (62%) frequently reported health problem. Rabies, Newcastle disease, and east coast fever were ranked high by the farmer groups. Current animal management practices, for example, failure to confine dogs, predispose the community to a number of health risks including bites from rabid animals. Smallholder farmers in Mwala utilize a number of options to communicate animal health problems; such sharing is, however, constrained by a number of factors including bad roads, poor coverage of mobile networks, and bad relationships between animal health providers and the farmers themselves. Some of the reasons why farmers delay the reporting of disease problems included the tendency for one to first try local herbal formulations, the bad times when cases are observed, and the unavailability of reliable animal health providers at the time when the farmers need them. This study has provided useful baseline data that can then be used to (1) design a village-based animal disease reporting system which is currently lacking in the surveyed villages and (2) support the county government’s efforts to manage animal diseases including zoonoses, through better reporting, for improved health, nutrition, and livelihoods. We would like to thank the participating farmers and the county government officials for all the field facilitation including planning for farmer meetings. We acknowledge the individual financial support from the McDermott family and the in-kind contribution by the International Livestock Research Institute in Nairobi, through Dr. Delia Grace. – Animal health and production? – Human health and zoonosis? Peters, A.R., Dominique, G., Olorunshola, I.D., Thevasagayam, S.J., Musumba, B., Wekondah, J.M (2012). Livestock Research for Rural Development. 24 (5) http://www.lrrd.org/lrrd24/5/pete24087.htm. Accessed on 23rd July 2018.